Comments: Some sun tolerance, perhaps two or so hours daily. Tubers seldom overwinter in the ground except in zones 10 and 11. 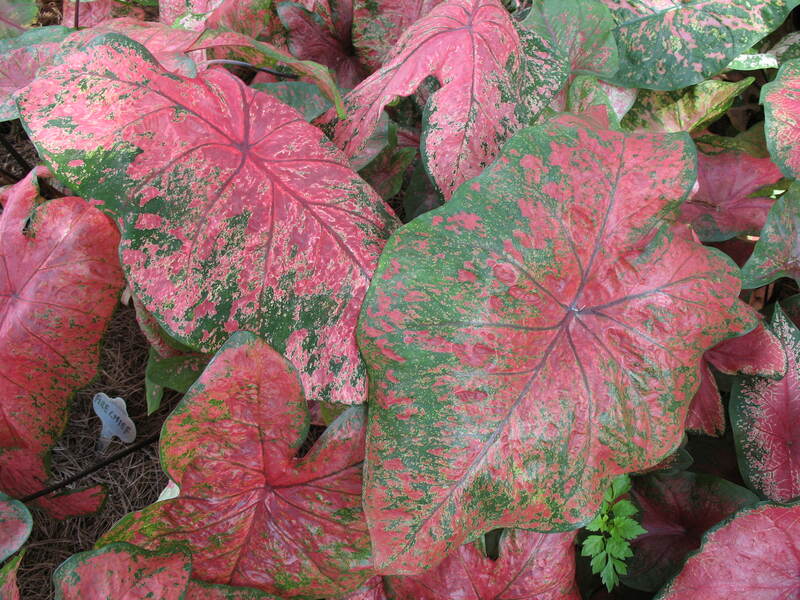 Caladium leaves are much larger during summers with frequent rains.